> Home > News > An Amateur Baseball Team Shows Off Viking’s Colors! An Amateur Baseball Team Shows Off Viking’s Colors! The Quebec branch of Viking Fire Protection in collaboration with Notifier by Honeywell, its fire alarm distributor, are sponsoring a summer amateur baseball team! The league consists of 6 teams of young men aged between 30 and 35. The teams compete twice a week in friendly games. 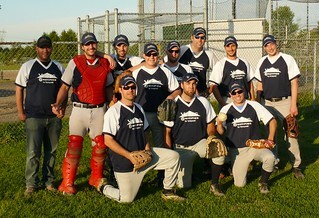 The Quebec branch is proud to act as sponsor for the VIKING team and wishes them the best of seasons!